Client Challenge: Rapid technological advancements in horizontal drilling and hydraulic fracturing have unlocked a large volume of gas resources in North American shale gas formations. These developments have significant implications for the domestic supply outlook for natural gas, and for the potential to expand natural gas use in the U.S. economy. A number of studies over the past few years have examined the impact of individual supply and demand drivers, and have been instrumental to furthering understanding of this issue. 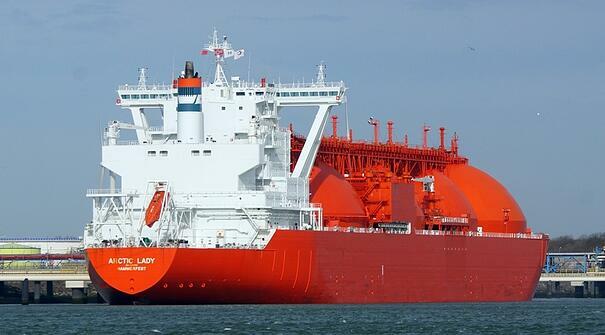 The Bipartisan Policy Center (BPC) sought to build on this work by analyzing the combined effect of multiple natural gas demand drivers, including liquid natural gas (LNG) exports, under a range of supply assumptions. Difficulties: It was important to the client to create realistic scenarios that usefully bound the range of plausible outcomes for natural gas supplies and demand over the next few decades. 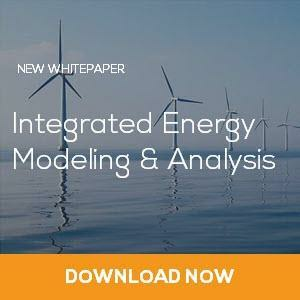 A methodology was needed to represent these scenarios in an integrated energy systems model. Analysis was required that could speak to the interests of key stake holders (natural gas producers, environmental interests, policy makers, and end-users). The potential impacts on fuel mix, energy prices and opportunities to expand natural gas use in ways that improve the environmental performance of the U.S. energy system also needed to be addressed. Solution: To analyze the impacts of natural gas supply and demand drivers, a reference case and a suite of six primary scenarios and two additional scenarios incorporating a price on emissions of carbon dioxide was constructed using the National Energy Modeling System (NEMS). 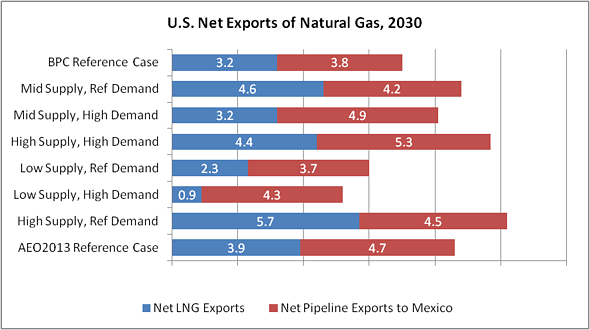 The analysis was designed to explore the relative impact of different supply and demand drivers, including potential LNG exports, which are likely to shape U.S. energy markets and the market for natural gas in particular over the next several decades. Results were presented in a set of seven clear and concise key findings which were supported by informative graphics, as illustrated below. Result: The scenario analysis revealed that within the suite of natural gas supply and demand assumptions considered, there are ample domestic supplies of natural gas to meet future demand, both domestic and exports, without significant price increases. Similarly, the analysis shows that the United States is uniquely positioned to take advantage of the economic, environmental, and energy security benefits of the country’s large natural gas resource base. Click here to download a copy of BPC’s report.